Arriving at the North Sydney ferry terminal on Monday, I did not connect with the 16-hour ferry to Argentia as I’d hoped. 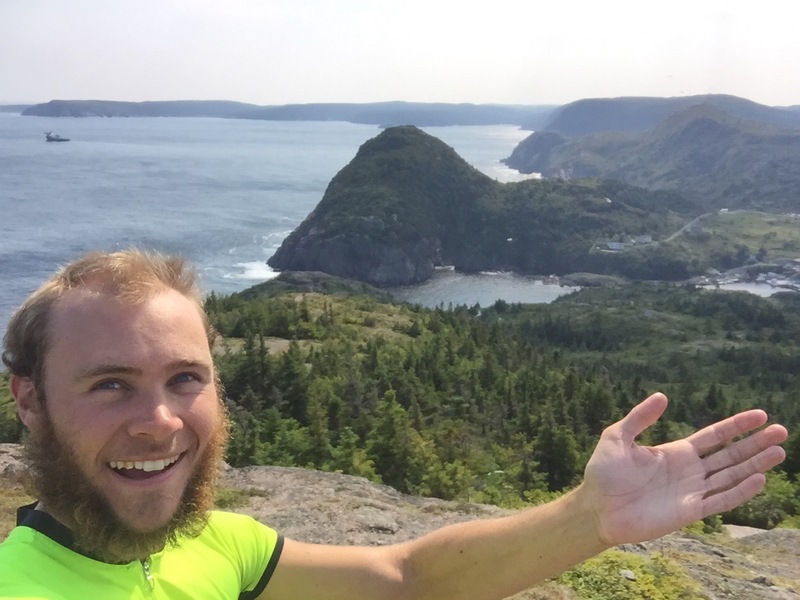 That left me with two options: Occupy myself for two days before hopping on the Wednesday night ferry to Argentia, or hop on the “short” 7-hour ferry that night to Port-aux-Basques and begin my final mission to cross Newfoundland over three days. 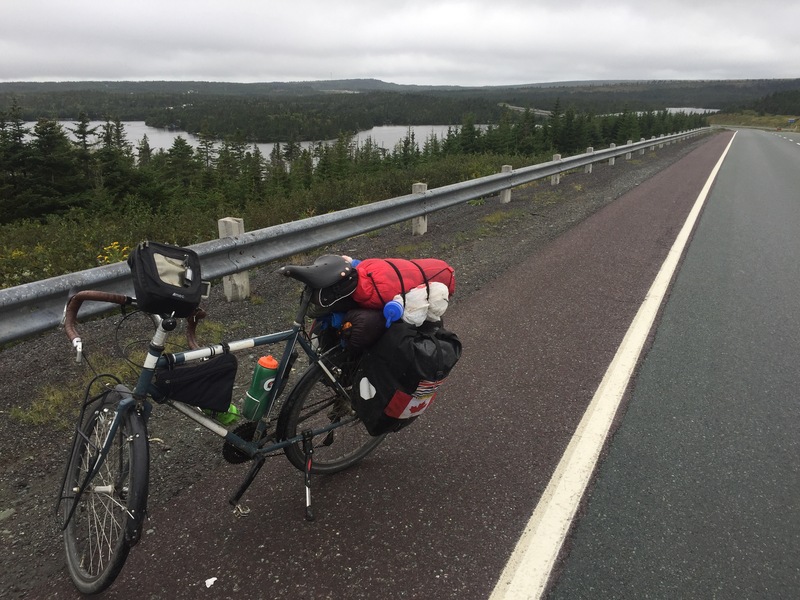 So with a bus on the other side to fall back on, I became quite sociable bound for Port-aux-Basques in hopes a new friend would haul my Surly and I across The Rock. 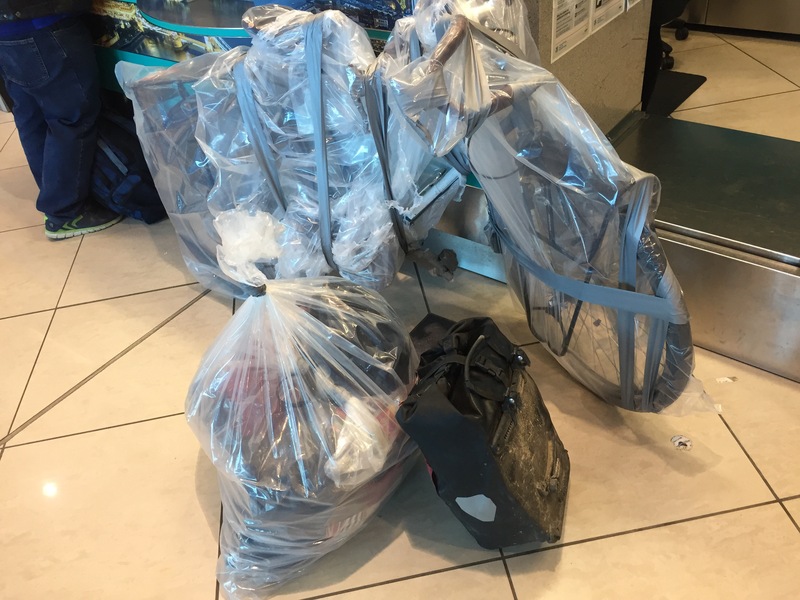 While several wanted to help, some didn’t have room and the truckers regretfully weren’t allowed to take passengers. So I stocked up on premade sandwiches and snacks, ready to see most of Newfoundland via bus! There were lots of ponds… And even more trees! 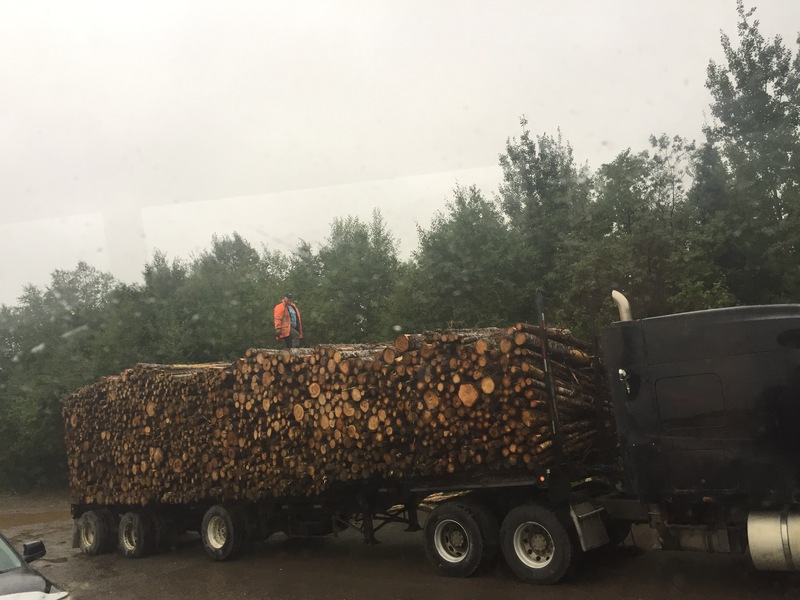 Stop the trees now, before they take over the island! 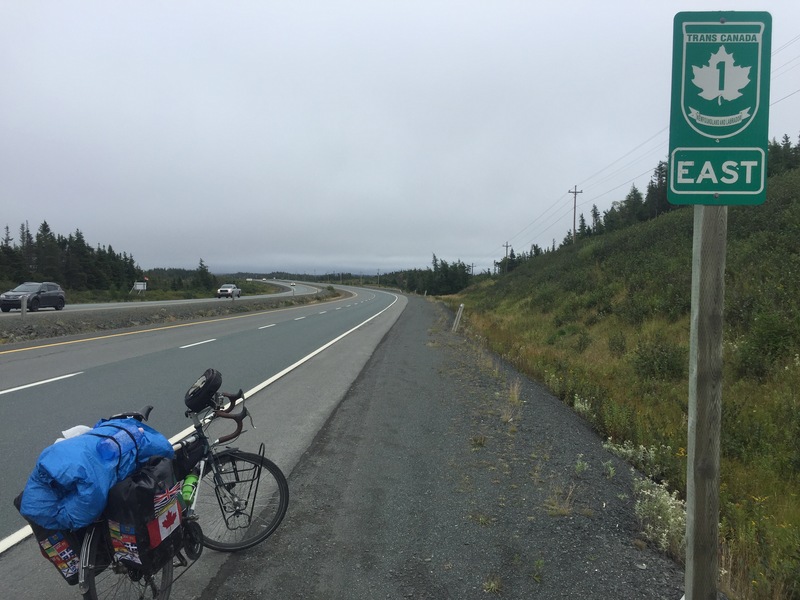 Hopping off in Whitbourne Tuesday night, ahead was a day of riding to St. John’s and a final rest day before my Friday flight. 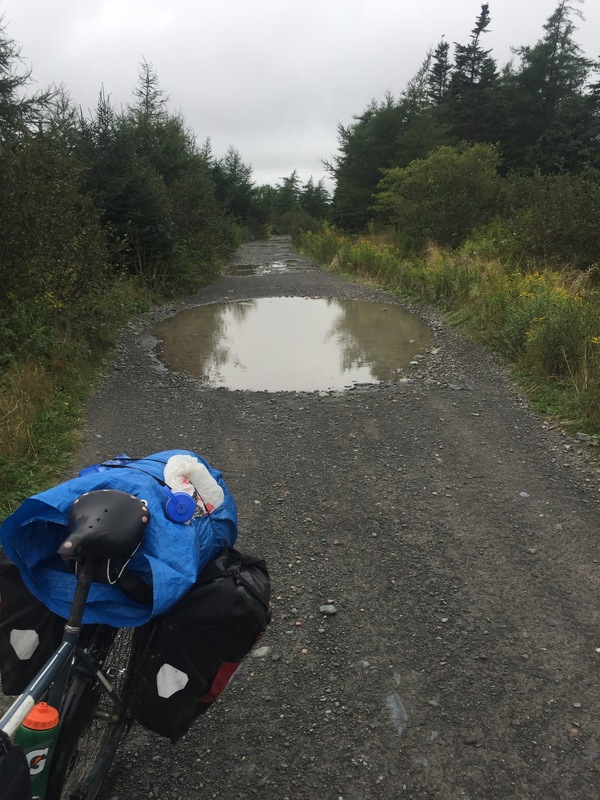 I’d hoped to ride Newfoundland’s T’Railway trail, but it was far from ideal for cycling after the island had absorbed enough water to drown an Atlantic cod over the past few days. 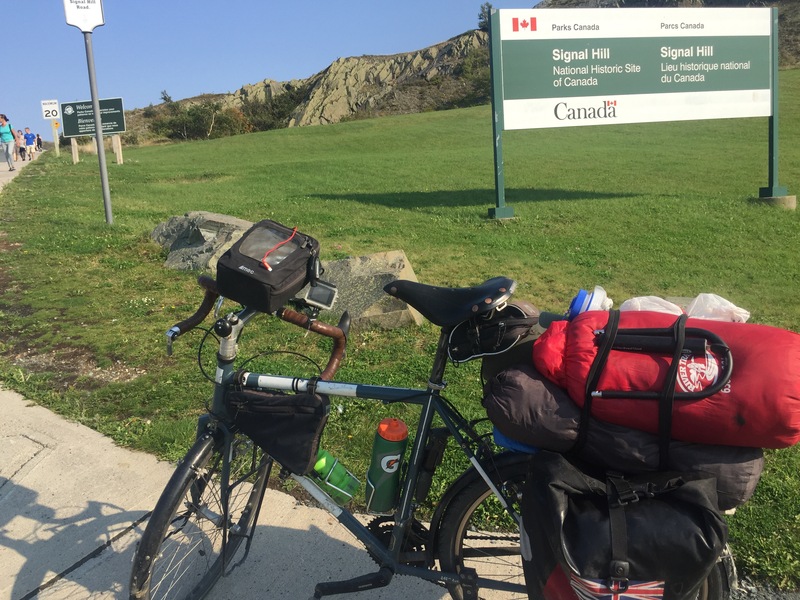 So the Trans Canada Trail was replaced by the Trans Canada Highway for my final cycling day. Back to the more chosen route to St. John’s. 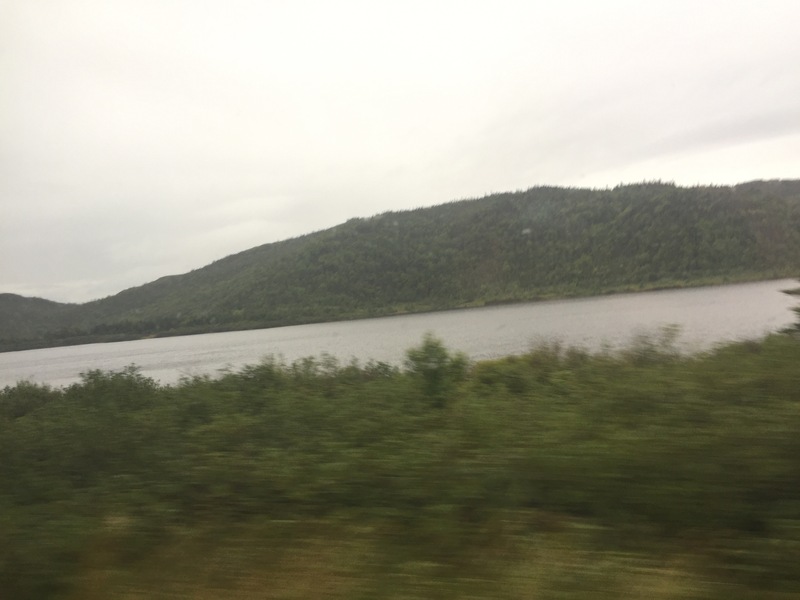 Like all of Newfoundland, it was rocky and bushy with many ponds and some long, gradual hills. 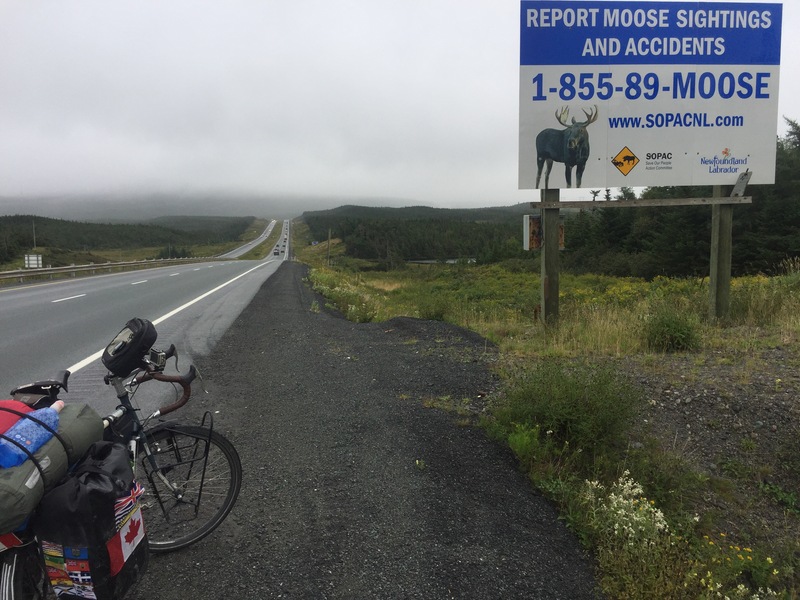 Couldn’t moose this huge sign! I completed the leg on an overcast, mildly rainy Wednesday, hitting my final destination city with a warm mattress awaiting at its Hostelling International. The locals informed me my rest day was the first in recent memory featuring blue sky – at least I think that’s what they were saying… Quite the struggle to pick up the somewhat Irish sounding accent. I took full advantage of the gorgeous day. 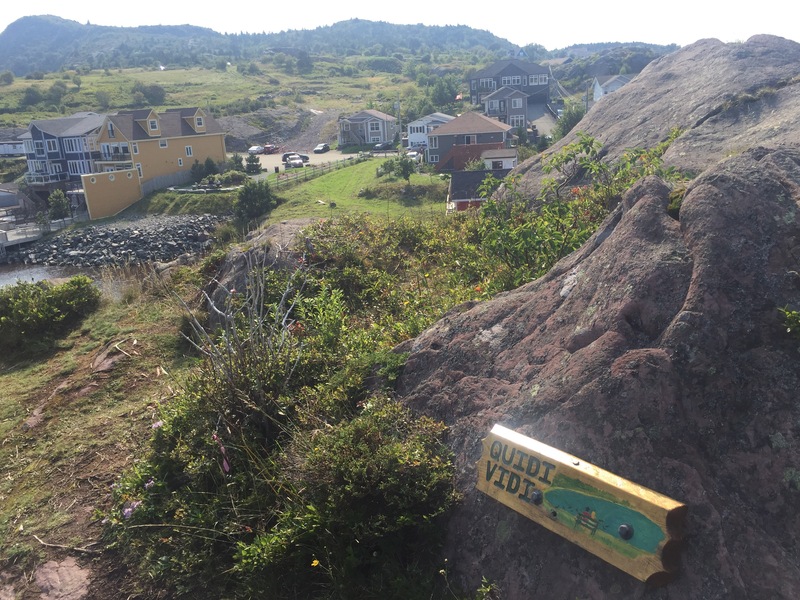 First stop was Quidi Vidi village for a short hike on the Sugarloaf trail to discover vast viewpoints of the Atlantic Ocean and St. John’s. 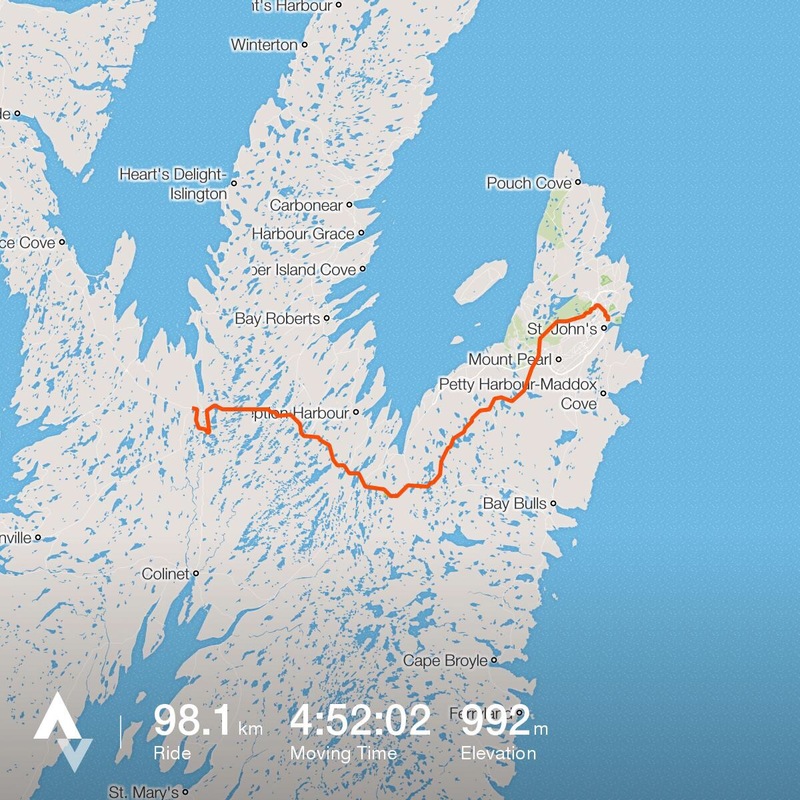 I just went to the Bawden Highlands and back. 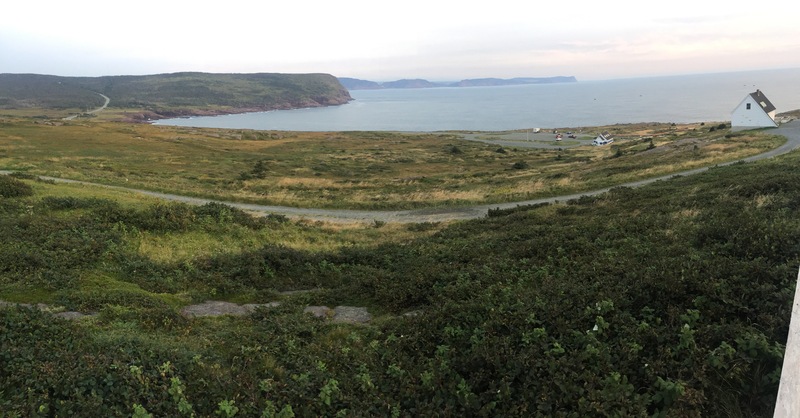 I found similar views, with a touch of history, at Signal Hill. 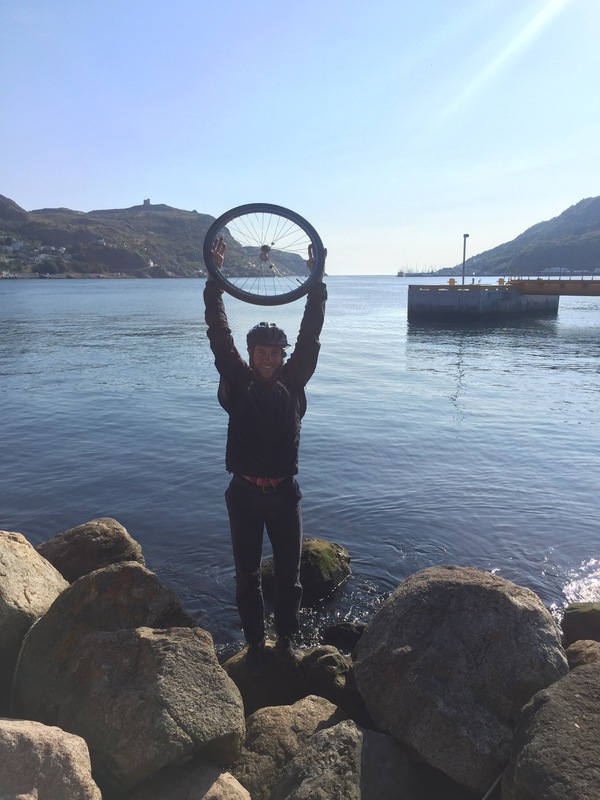 A very slow ride up to Signal Hill… But a super speedy cruise back down! Signal Hill’s view of St. John’s. As dusk approached, it became time to make my way to the Cape Spear Lighthouse, the most Eastern point in North America. 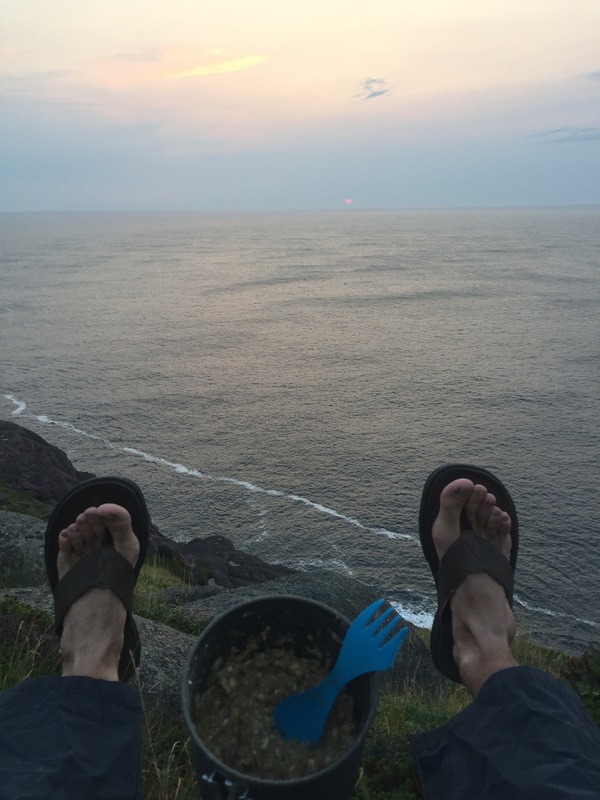 From the moment I’d booked my return flight, anticipation mounted: September 14th, camp at Cape Spear. 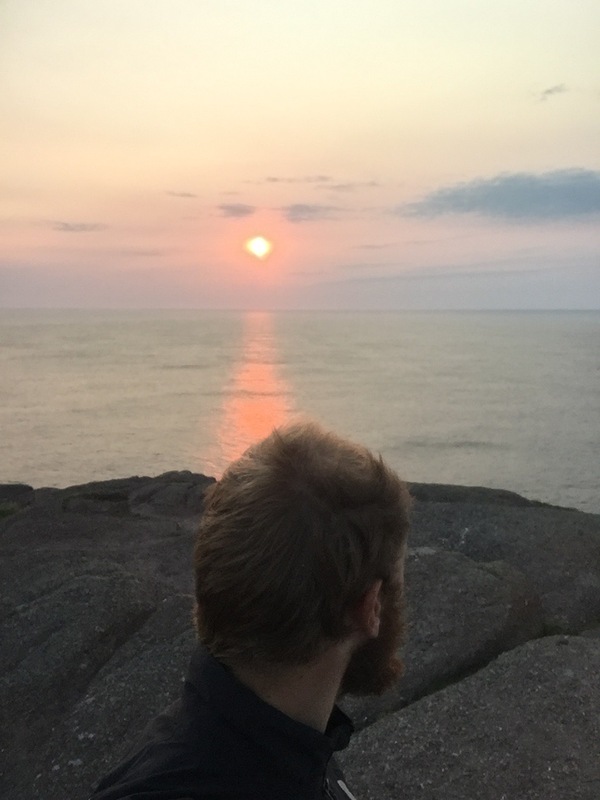 September 15th, watch the sun rise over the endless Atlantic, signifying the beginning of my post-cycling-Canada era. And that I did. If anyone in Canada wants to argue with me, this is the time… Because I am more right than you. 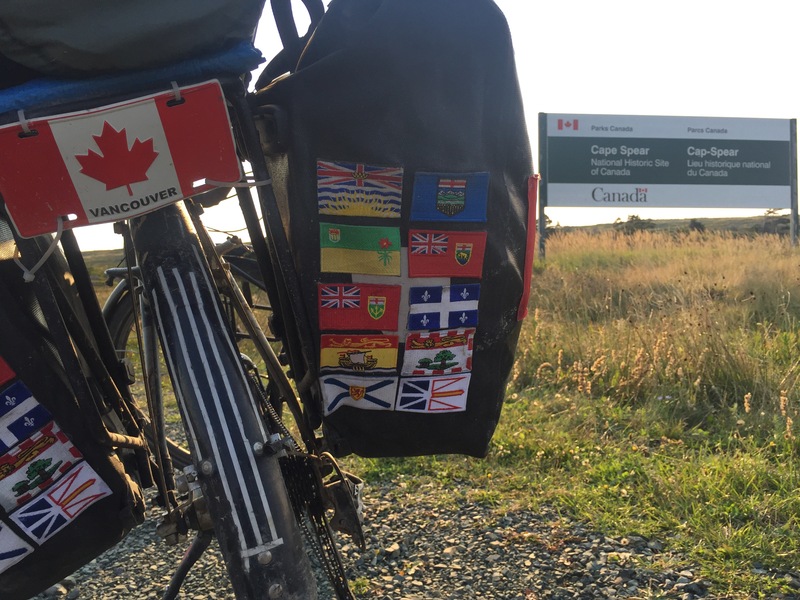 Awaiting North America’s first sunrise – apparently this is also a thing for those who didn’t just cycle across Canada. 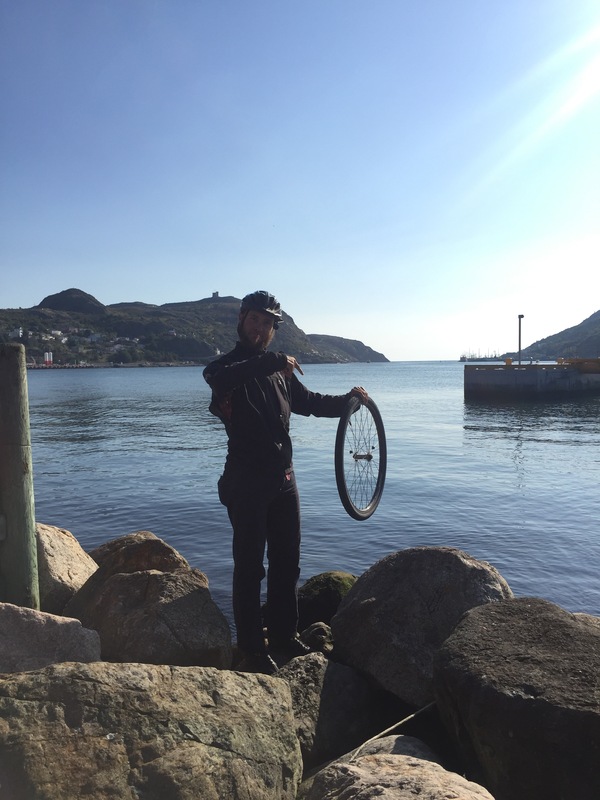 Friday I had one final task to complete the feat: dip my front tire in the Atlantic! Why hello there, St. John’s harbour. Hope you’re not tired of my puns. Despite crafting 176 nourishment-packed tortilla shells between Vancouver and St. John’s, the contents of my final wrap were not of the edible variety. 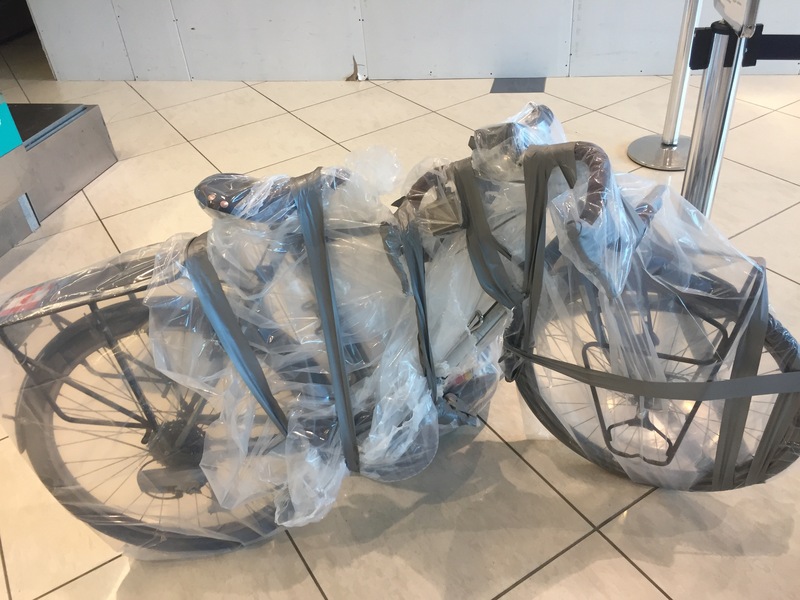 Wrapping up my bike at the airport was a mini-adventure in itself. One last kind stranger, who turned out to be from BC too, helped hold my bike as I duct taped and then duct taped some more. I’d like to thank the academy, the producers, and Home Hardware for providing plastic bags and duct tape. 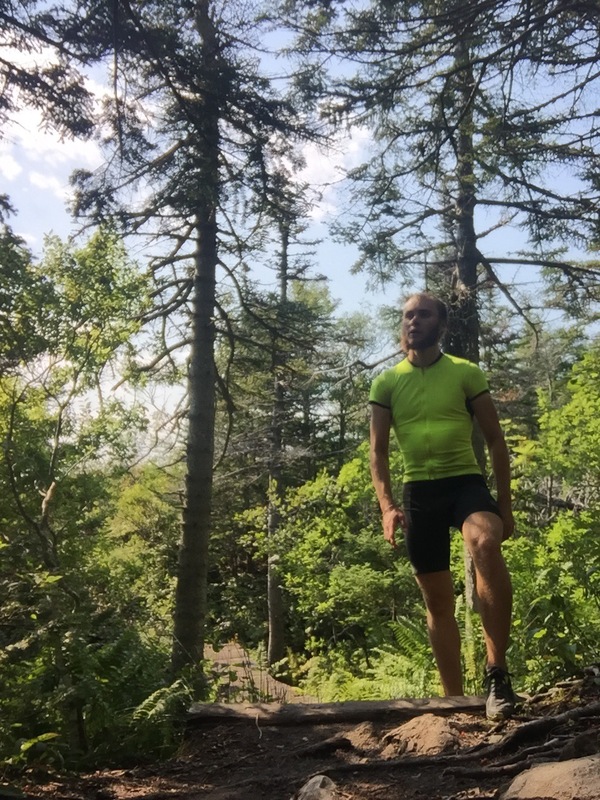 After banking five sub-24-hour days along the way, I made it all back in one. 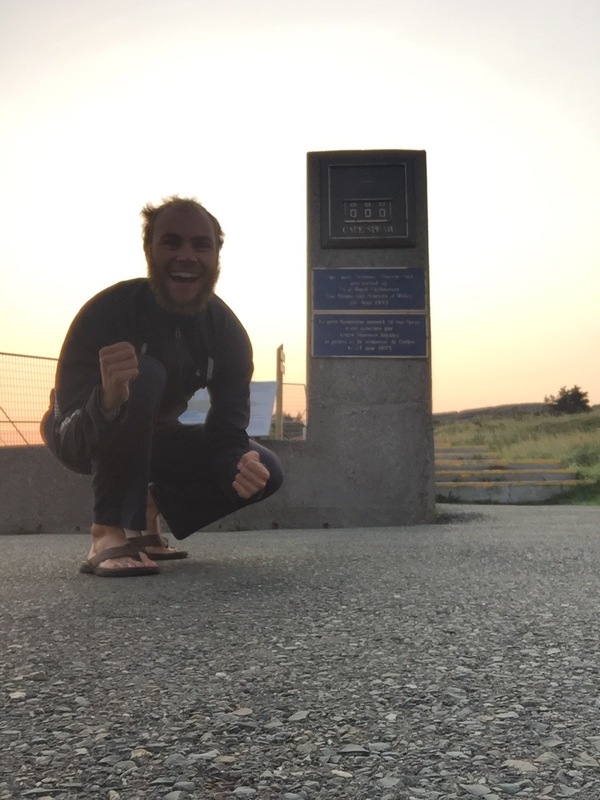 From Cape Spear Lighthouse to Vancouver International Airport, September 15th sure was a long day… 28.5 hours to be exact! 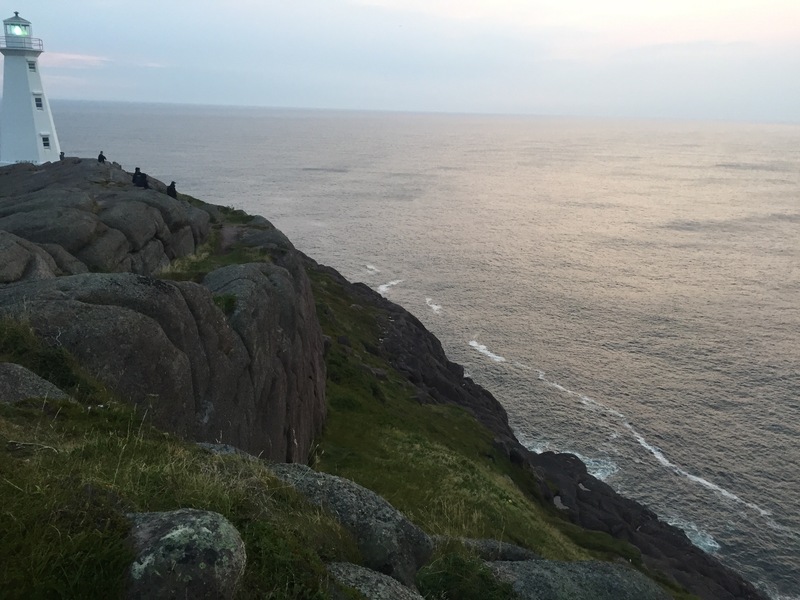 Just as the vigorous Atlantic waves I’d witnessed that morning crashing into the sturdy Cape Spear shores, my prodigious pilgrimage came to an abrupt halt. It’s difficult to find words to summarize this life-changing journey. It’s been everything I’d hoped for, and more, in every aspect. My day one motives have remained unchanged, and have really come to life along this eastbound expedition. I’ve experienced the ultimate freedom of travelling alone with a loose or non-existent schedule and taking each day as it comes. I’ve absorbed the country’s diverse natural beauty from coast to coast. I’ve embraced the precious opportunity to connect and reconnect with family and friends. I’ve encountered the open arms of strangers and been showered with immense kindness throughout. I’ve sustained a contrasting lifestyle, realizing how straightforward it is to achieve ultimate blissfulness with minimal possessions. Keeping this blog has been time-consuming, but well worth every second. It’s been a fantastic channel of connection, making me feel far from lonely despite being physically alone. It’s shed light on the writer in me I never thought existed. So I’ll be returning to many endeavours at home, one of which will be writing a book. 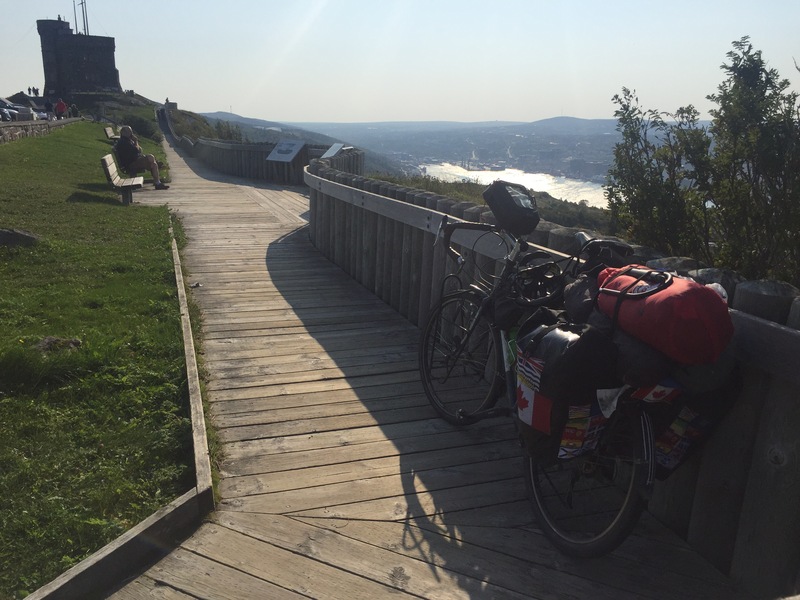 It will contain highlights of my blog, as well as some additional thoughts cycling through my mind while on the road. Some inspiration will spawn from my personal journal, which I’ve occasionally made ink deposits in along the way. 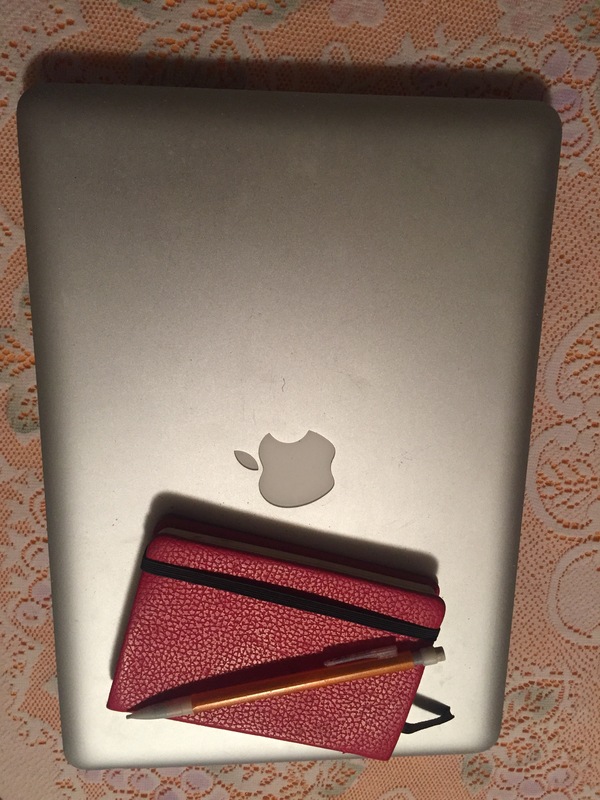 Materials for my book-writing venture. This will be a joint venture with the Canadian Mental Health Association as a fundraiser for their depression and anxiety initiatives. While I consider myself mentally healthy, it’s a great cause that really hits home for me. I see much room for improvement and potential for a “ripple effect” as society becomes more educated and receptive toward those suffering. 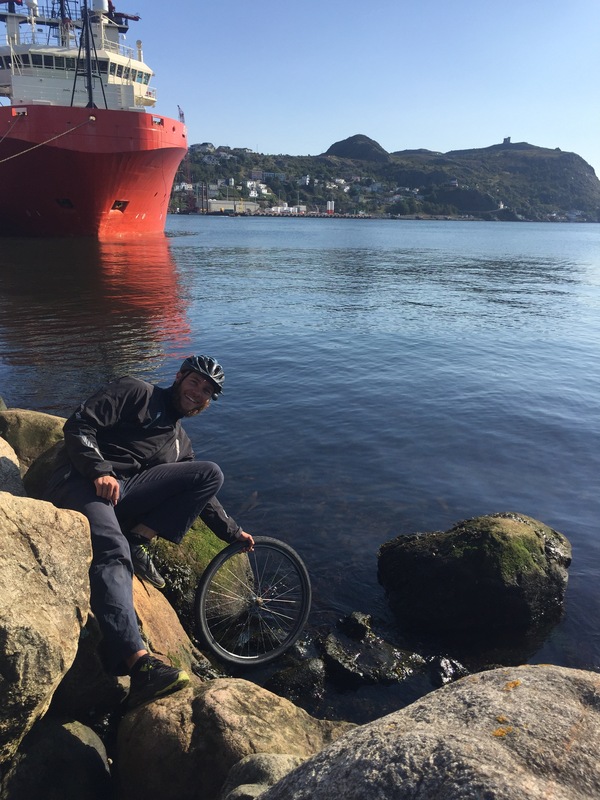 As for the blog, sadly this is the last post of my cycling adventures. 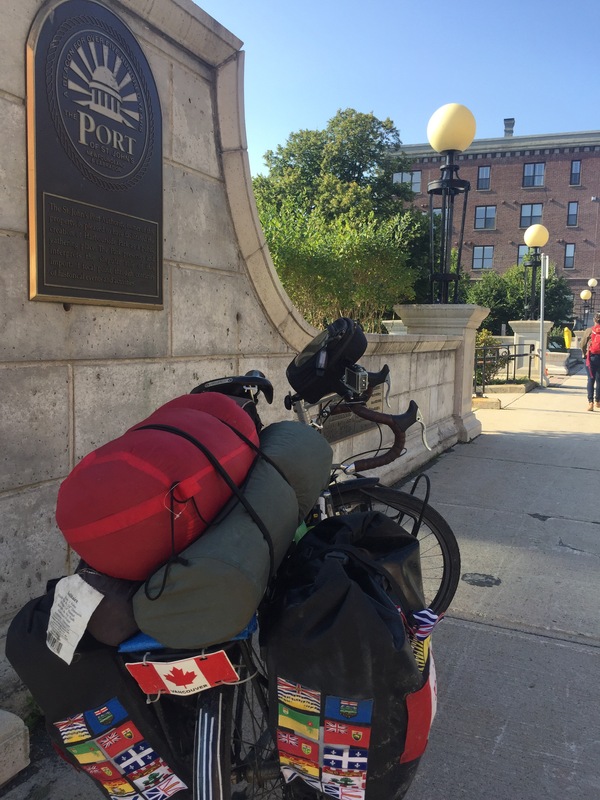 If you haven’t yet, I suggest checking out my final “By The Numbers” page for a snapshot of my trip, where I’ve also added a map of my route. Thank you for all your love and support – through the tough times it was often the people who kept me driving forward. Perhaps the next visit I had to look forward to, and frequently those following my journey and rooting for me. Remain subscribed to receive major updates on my ongoing book project with the CMHA. With still many details to be sorted, I expect I’ll complete writing late in 2017 and the book will be available in early-mid 2018. Previous postSeptember 5th-11th: C.A.B.O.T. 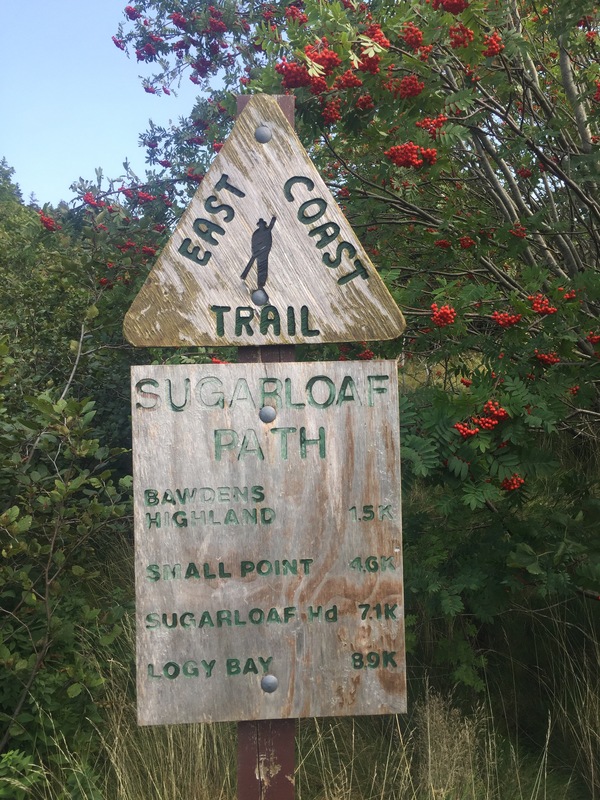 – Canada’s Amazingly Beautiful Oceanfront “Trail”. Hi Cameron! This is my first comment although I have travelled with you vicariously all the way, enjoying every installment enormously. I am so sorry it is over and hope you are able to update us as often as possible on your continuing adventures. Also I am delighted to hear of your interest in depression and mental health, improvement in services and attitudes being such an important goal. Congratulations for completing your epic journey and doing it so entertainingly. Looking forward to more! Pat Johnson. 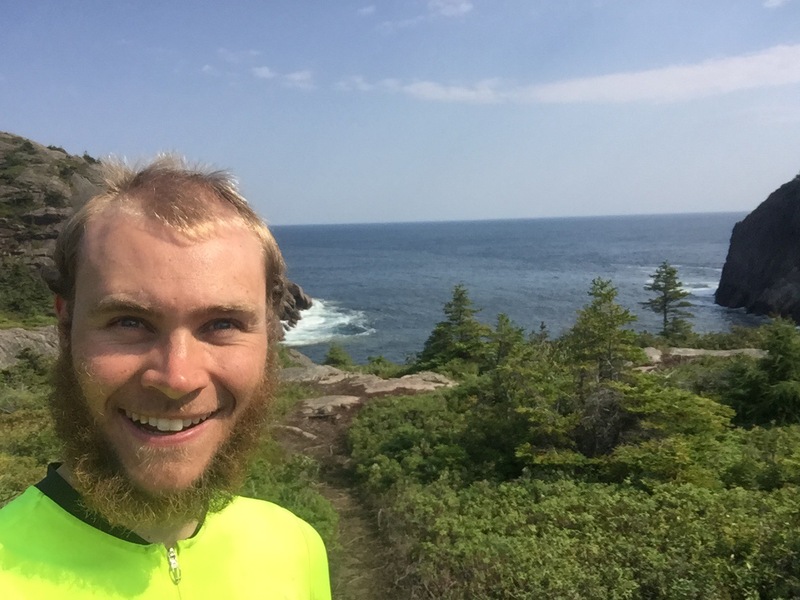 David and I have so enjoyed being a part of your journey Cameron, through this blog. Big discovery that you are a talented writer, and that you will explore your talents more through writing this into a book. That will be so fulfilling, and reaching out to such a worthwhile cause at the same time. Feeling very proud of you! Congratulations Cameron! An amazing achievement indeed! Auntie Michele looks forward to welcoming you back to the West Coast, and meanwhile I am holding the fort on the East Coast. Come back before too long, maybe to NYC next time!!! Congrats Cameron, what an amazing achievement. I have been reading your blogs all summer and loving them! I can’t wait to read the book! I am a friend of Michele and Michael. I’ve enjoyed your beautiful photos and smiling face! Come to NYC – I would love to meet you! Fantastic achievement! Incroyable!..as our Quebecois neighbours would say. You have shown amazing perseverance and great joy in Nature. 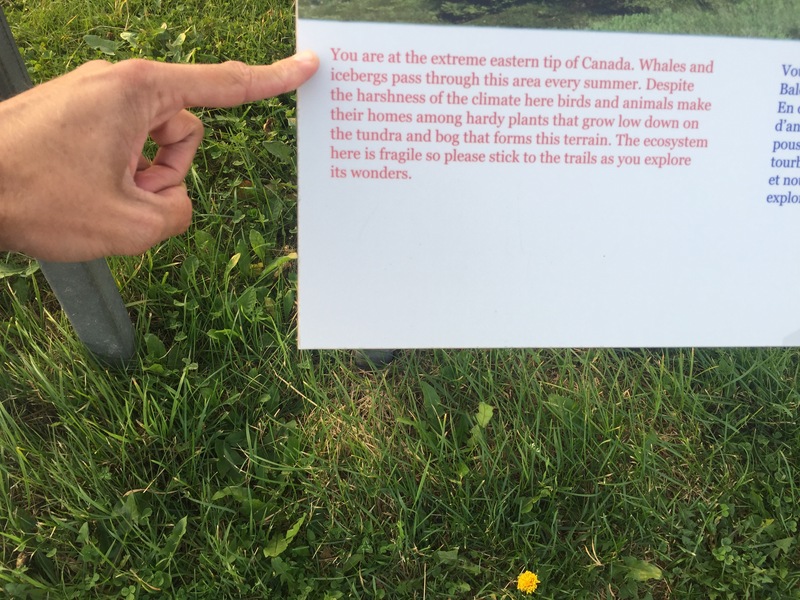 Wonderful that you have now experienced Canada in such breadth and depth. I have enjoyed reading your blog so much, and will look forward very much to reading your book. Congratulations! !